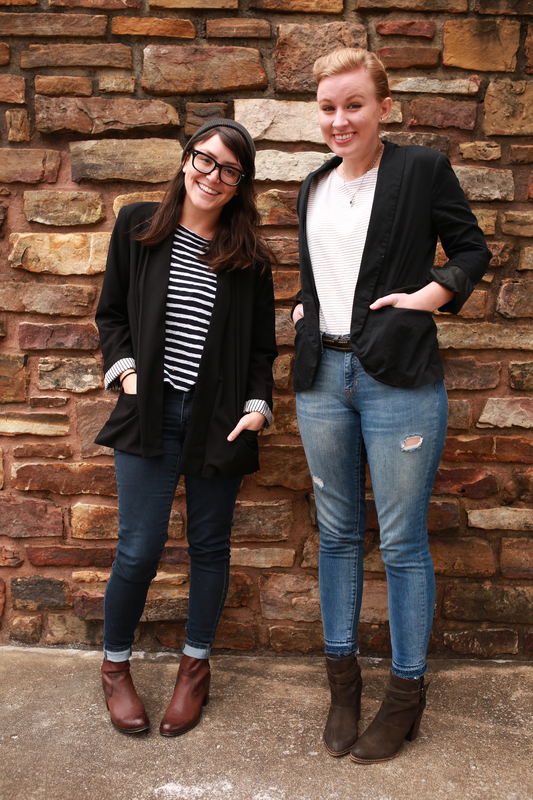 Today when I arrived to work, I found out my coworker, Kaylin had an almost identical outfit on as I did! I always think anytime things like that happen it’s really strange…and funny. So we decided pictures had to be taken! 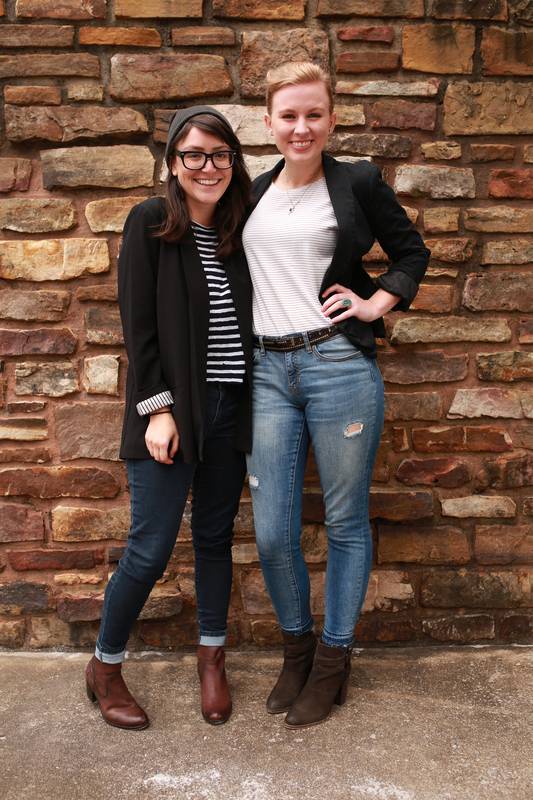 I’m a big fan of stripes, and I think there’s nothing more classic or simple than a stripe tee and jeans. It’s definitely one of my go to wardrobe pieces, and I foresee shopping in my future to build up the striped section in my closet. The thinner the stripe, the better. This is especially important when wearing a horizontal stripe. Wearing a horizontal stripe that’s thicker tends to be less flattering on certain figures. Another important thing to remember- don’t be intimated about adding a different style or pattern to your wardrobe- confidence is the best accessory a girl can have. Coco Chanel knew a good thing when she first saw the Breton striped top from her trip in France and decided if the sailors could wear it, so could women, and they could own it. 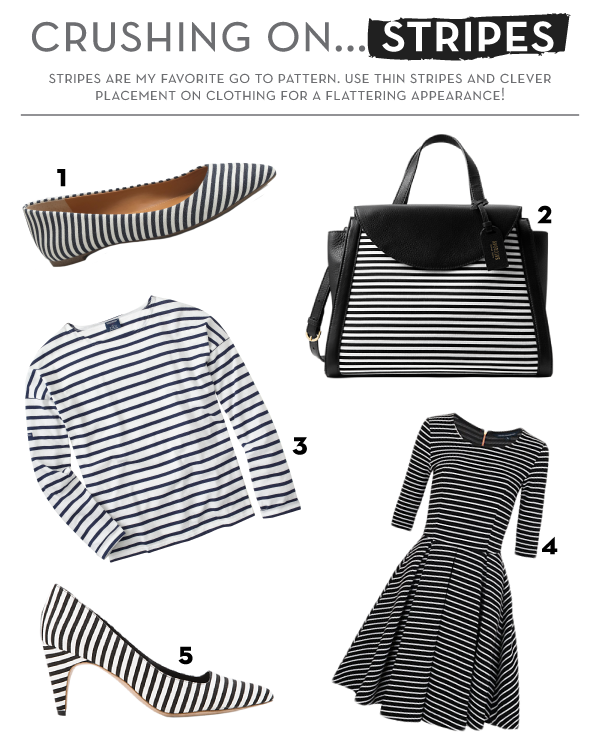 Check out some of my favorite striped picks below! They are the best. I have a ridiculous section in my closet dedicated to stripes…whoops!